Are you looking to travel to the United States? Well, in order to do so you must be prepared and make sure that you secure and bring along with you the essential travel documents before coming to the United States. Here are a couple of tips to help you prepare for US travel and secure the essential travel documents you need. ESTA is the easiest and fastest way to arrive in the united States. It is a simplified version of the regular visa application which aims to provide easy access to the US. Eligible citizens from specific countries are pre-screened online. All you have to do is to complete an online application form which includes personal information and answer a couple of questions regarding health and safety. Once you complete the online application, you will immediately know if it has been approved or denied. In fact, the process is so fast that you can know if your application has been approved or denied after only a couple of seconds. The entire application process can take less than 10 minutes. You don’t have to pay for interview fees, meet appointment requirements, or prepare any proof or evidence. If you are an eligible candidate from a country that’s part of VWP and want to travel to the US, applying for ESTA is your best choice. VWP, which stands for Visa Waiver Program, is a program organized by the government of the United States that grants citizens from specific countries authorization to travel to the country with a purpose of business or tourism and stay there for no more than ninety days, without a visa. 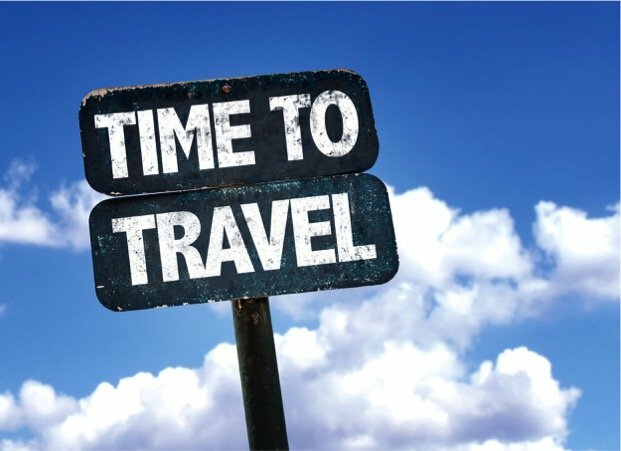 Travelers who wish to enter US under the VWP must first apply for ESTA (Electronic System Travel Authorisation) prior to traveling to the country. Travelers who wish to enter the US under VWP must apply for ESTA more than 72 hours before departure. Moreover, it is advised that you apply for ESTA as early as when you have the travel dates, should your application be denied. This will also help give you a good amount of time to secure a visa from the US Embassy which can take up to two months just to get an appointment. It is also advised to undergo ESTA application prior to paying for your travel tickets, just in case your application is denied. Even if you don’t have any goals to travel to the US, you are still allowed to apply for ESTA just in case. For instance, if the nature of your work may require you to make an emergency trip to the US, you may want to apply for ESTA just in case of a future or unexpected trip to the country. What Important Details or Documents are Required to Apply for ESTA? If you have a valid, existing ESTA document, you are still allowed to continue traveling to or from the US, until it expires or the circumstances have changed. How to Apply for ESTA and How Much Does it Cost? The only way to apply for ESTA is to do it online. You must go to the ESTA website and complete an online application form. The application process should only take no more than 10 minutes, especially if you have your passport details with you. Apparently, an ESTA application can cost you $88 which already includes the $14 charged by the US government. Moreover, all ESTA applications must be submitted at least three to four days prior to departure. Once approved, your ESTA is eligible for two years’ worth of usage. It could also be less if your passport will expire within two years. Your ESTA will allow you to travel to the US for up to 90 days within two years after the application was granted. There are many reasons why your ESTA application could be denied, here are some of them. Your application is incomplete or includes incorrect information. A simple typo is enough to deny your application especially when it comes to your passport details. You have committed a serious crime in the past. If you have a criminal history, then it’s more likely that your ESTA application will be denied. You have a communicable disease. If you have AIDS, HIV, or HEP C, your application will be denied immediately. If you have more questions regarding ESTA Visa guidelines for US travel, don’t hesitate to talk to a travel consultant. Kimberley is a travel enthusiast who enjoys visiting new places with her visa. While on her journey around the world she loves to write about her experiences. She has written for many different travel related sites such as Esta-formulaire.us and enjoys living life to the fullest.